Click on the picture to download Sims 1 furniture! 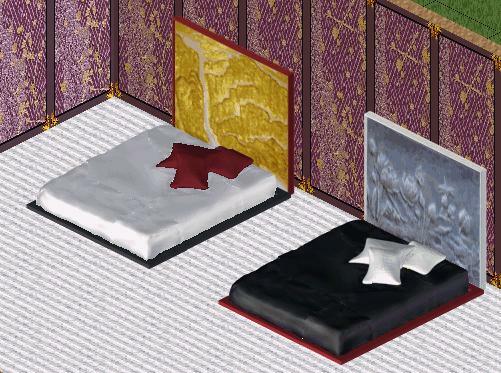 These Asian-style furniture are all created by Expression (me!). Read the object description for Expansion Pack requirement and other awesome info! 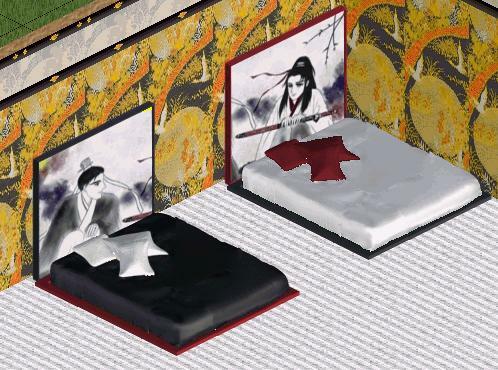 Why must a bed be married to its headboard? Mix and match these platform beds with different headboards! Chinese mountains and paintings by famous Chinese painter Hua sanchuan (check out his artwork in the Awesome Asian Artists section). This pair is very special and precious because I drew them! They were split from one drawing. The left is Yu and the right is Qing. See more of my drawings under My Anime-style drawings. Chiyogami, meaning "1000 generation paper" in Japanese, is a traditional block-printed color paper. Their rich colors and patterns are perfect for your Sims 1 home! Click on the picture to download each pack. 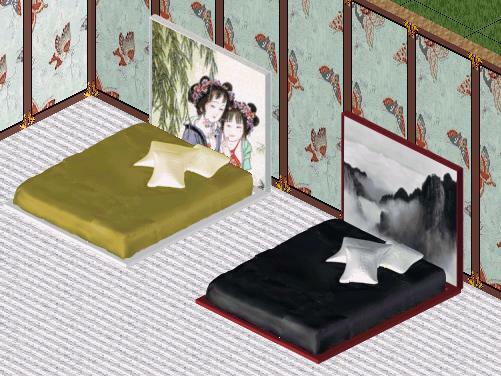 >> Chiyogami walls and floors available in the Asian Walls and Floors section!